Yeah the only reason I went for a 250 was the blue. Hadn't heard about boost worx servicing Renaults, I've been directed to Euro Garage on Grange Rd. Hi there, new to Renault's as of last week, purchased a 2011 Megane RS 250 Cup Trophee in extreme blue (66,000km) after looking for a while. 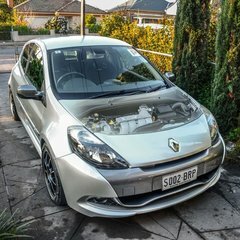 Based in Adelaide, very open to any advice on where to service and any general tips on the car. I have a fair background in fast cars and track days / super sprints, and I'm looking forward to having a good read through some posts on here.